The stink of Ammonia and bleach on the still-wet floor greets the Vandermark 5. It’s one hour before show time at the Black Cat, Washington, D.C.’s premier indie-rock club, and the members of Ken Vandermark’s quintet-bassist Kent Kessler, trombonist Jeb Bishop, saxophonist Dave Rempis and new drummer Tim Daisy-are quickly loading in their equipment from their two rental vans. The 5 are midway through their U.S. tour of the East and Midwest supporting their sixth studio CD, Airports for Light (Atavistic). Tonight they are playing the second stage of the Black Cat, below the main stage where several rock bands will be playing-at the same time as Vandermark’s crew. A longhaired, raspy-voiced, rock-club lifer approaches Vandermark to get the band’s food orders, tell them which dressing room they’ll have (the small one) and to encourage the group to arrange the few chairs in the room however they choose. The Chicago-based Vandermark 5 are an odd band out: they are too comfortable with punk aesthetics and do-it-yourself traditions to fit in the button-down jazz world, but they are still too avant-garde for the average indie-rock fan. Still, despite being tweeners, the Vandermark 5 are finding a comfortable middle ground between those extremes, playing to audiences whose tastes have been catholicized and who are capable of appreciating wide ranges of rock and jazz on their own terms. The Vandermark 5 does it pretty much alone, too. There are no tour managers, their record label does little publicity or advertising, they drive their own vehicles and they have often booked their own tours. And Vandermark usually jumps offstage immediately after he’s done performing to sell merchandise. Vandermark often plays these rock clubs, which usually charge less at the door than jazz joints, because, he says, “I want to make sure we play to people in their 20s and 30s.” He’s very conscious of attracting an audience that can grow with him as an artist. Noisy clubs are a risk Vandermark’s willing to take to play his music, but he doesn’t change what he wants to play, no matter how raucous the place is. “We will not concede to the situation and just play loud music all night because we may be in a louder room; those quieter pieces are successful, maybe not in a way that they were initially designed, but they do get us into a place that’s important for us to play in and important for the audience to hear. The fact that we won’t back down from that is worth experiencing as much as the full-throttle stuff that we do. It’s a different kind of energy, it’s a different kind of tension and it’s equally as valid. With the food ordered and the guest list discussed, the club manager disappears backstage and the Vandermark 5 is left to grab chairs and set up another makeshift jazz club. Ken Vandermark may look like an indie-rocker-dressed in a black T-shirt, dark jacket, belted jeans and black shoes, with his now-trademark flattop buzzcut-but this 38-year-old saxophonist (tenor, baritone) and clarinetist (B-flat soprano, bass) has slowly been making his mark on the international improv scene during the past 10 years. He’s a tireless worker, someone who is never without a new composition, a new project, a new performance or tour. Vandermark’s incessant drive is one born as much out of creative necessity as it is lingering memories of when all this opportunity was nowhere to be found. “The first two years I was in Chicago were the most difficult two years in my life. No one wanted to work with me, really,” he says, walking down 14th Street in the District of Columbia a few hours before the Black Cat concert. Vandermark grew up in Natick, Mass., a suburb of Boston, in a home filled with jazz and classical music. After graduating from McGill University in Montreal, where he studied film and communications, he moved back to Beantown in 1986, where he played regularly for the next three years. Vandermark loved the scene there, but he left for Chicago in the fall of 1989. “I was not happy in Boston, let’s just put it that way. I just didn’t connect with the city in a lot of different ways. My unhappiness with some other things-I was in a relationship that was really bad and things of that nature-I just needed to leave. A bunch of things came together at the same time and motivated me to leave. My decision to come to Chicago was really based on the fact that if I didn’t like Boston, I wasn’t going to like New York City, that high-intensity, East Coast thing, expensive. That group became the Vandermark Quartet, but those nearly three years of playing alone, however difficult, made Vandermark realize how dedicated he was to the music. “That was a crucial thing. That proved to me that the music was essential to who I was. Because if there was any reason to quit, that was it-that’s a long time to sit in a room and work on stuff and hope you’ll find someone to play with. You would think because of his productivity that Vandermark is a type-A personality, always wired and perhaps a bit edgy. While he does have a lot of energy, he doesn’t seem anxious or tense, and he’s an easy and engaging conversationalist. He’s just intensely driven to create art. Another motivating factor is the $500,000, spread out over five years, that Vandermark received when he won a MacArthur Foundation fellowship, commonly called the “genius grant.” Vandermark received the honor in 1999, which came not only as a surprise to him-the nomination process is conducted anonymously, and he had no idea he was up for it-but also to the majority of the jazz world, most of which asked, “Ken who?” Because even for all his tireless work, then and now, Vandermark is still very much an underground artist, releasing CDs on tiny independent labels-like Okka Disk, Platypus, Wobbly Rail, Smalltown Supersound and others-and on only slightly larger indies like Atavistic and Delmark. The MacArthur Foundation must have recognized Vandermark’s ceaseless desire to create and collaborate, knowing their investment wouldn’t be placed in idle hands. He hasn’t let them down. The Territory Band, his electro-acoustic large ensemble that deals with modern jazz and classical-style compositions combined with free improvisation, is a direct result of the MacArthur money; without it there’s no way that Vandermark could afford this large collection of top experimental musicians from Europe (Axel Dörner, Paul Lytton), Scandinavia (Per-?…ke Holmlander, Fredrik Ljungkvist, Paal Nilssen-Love) and Chicago (Jeb Bishop, Dave Rempis, Kent Kessler, Fred Lonberg-Holm, Tim Mulvenna, Jim Baker, Kevin Drumm). The Territory Band has released two CDs on Okka Disk, Transatlantic Bridge (2001) and Atlas (2002), and has performed in Chicago and had a short tour through Sweden, Norway and Austria. While the aesthetical question about whether or not Vandermark belongs among those other genius-grant winners is a matter of opinion, there’s no denying how hard he’s working to try and make his mark. Vandermark, who never learned to drive, has even resorted to composing and transcribing in the car as the band travels long miles between gigs to try and fit it all in. By “stuff” Vandermark means others’ art, be it music, painting, sculpture, photography or film. He’s a willing and open vessel for inspiration, which he then harnesses and turns into music. “A lot of the people whose work I really admire, they just do the work. They are productive,” Vandermark says firmly. “They don’t do one thing then sit on it and then that’s their idea and then they milk it forever. “Right before we went into the studio, I went to an exhibition of his paintings in Chicago, and it really blew me away,” Vandermark says, still visibly enthused. “I liked his work before that, but to see such a large cross section of all his work, and to see how strong the material was, it was so inspiring. I basically came out of that exhibit, I had this new piece, and it was like, ‘This guy has just given me energy for a year,'” he laughs. From a painter to a film director, the second track is “Staircase (For John Cassavetes),” which sounds something like Miles Davis’ take on “Guinnevere” (without the Far Eastern trappings). “That piece is about the mood coming from the film Faces. There’s a scene at the end of it that happens on a staircase where a husband and wife, their marriage has completely come apart. The choreography of the scene is really powerful.” Vandermark actually wrote the music based on a description he read of the film; he finally saw the movie just before this tour. “Budd Johnson is a really interesting character in the history that I didn’t know anything about until a few years ago,” Vandermark says. “I heard Ben Webster and Associates, which is a completely phenomenal album, where Webster plays with Coleman Hawkins and this guy Budd Johnson-who came on and really blew me away. His whole approach to the tenor was really interesting, and he was completely their peer. “My father gave me some more information about him, and it turns out he was really central to a lot of the developments of bebop, working with Gillespie. And a lot of the style, in terms of the format of the small combos and the arrangements in terms of the intervals the groups would play and the heads and all that stuff, a lot of that work was developed with Budd Johnson. To me, he’s this underappreciated character in the history who did a huge amount, played with tons of different people. “That’s more specifically connected to Tinguely’s work. He would build these metal structures that have motors-they were like mobile sculptures-and a lot of them would run and destroy themselves. Then he had a lot of them that would make all kinds of sounds. Then he did a bunch that would make automatic art; they would draw or paint. You could put a piece of paper down and these things would create all this abstract art, and there was a sense of irony to that. He had a beautiful sense of humor to what he created, which I really appreciate. 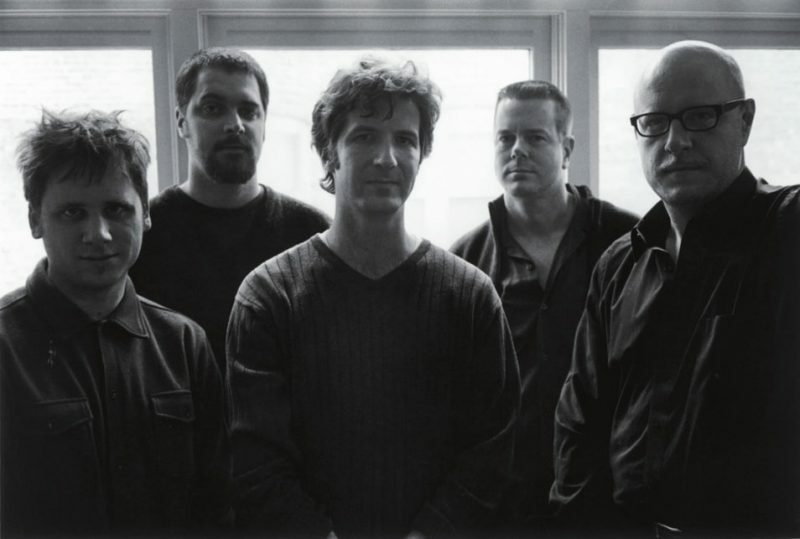 Despite that ever-growing discography, and a huge and eclectic CD and record collection of his own, Vandermark admits he has an “ephemeral connection to my own recordings. I see them as photographs of what a group or project was doing at a certain point in time, and I think they’re representative of what was happening, but they’re not the ultimate statement. The ultimate statement is something that happens over a period of time, because it’s about the process. For an artist, the painting isn’t the end result; the painting is the offshoot of the process that you’re going through. Picasso isn’t ‘Guernica.’ That’s an expression of one aspect of his huge catalog of ideas. “With improvised music, you can’t look at an album the same way you do as a pop album. I think that the albums are important because they are documents of what has happened, but to me it’s all about playing. I would rather be playing a gig than not playing a gig and shedding. This emphasis on the album over performance is a real problem for me. Perhaps because of his transient relationship to his own records, Vandermark can chuckle at this story. Turns out it was a Vandermark Quartet recording. “And Dave had just been tearing it up-‘Who the hell told this guy he could play clarinet?’-and after we realized who it was he was looking out the window, like, ‘Oh my God….’ Then we just laughed so hard. 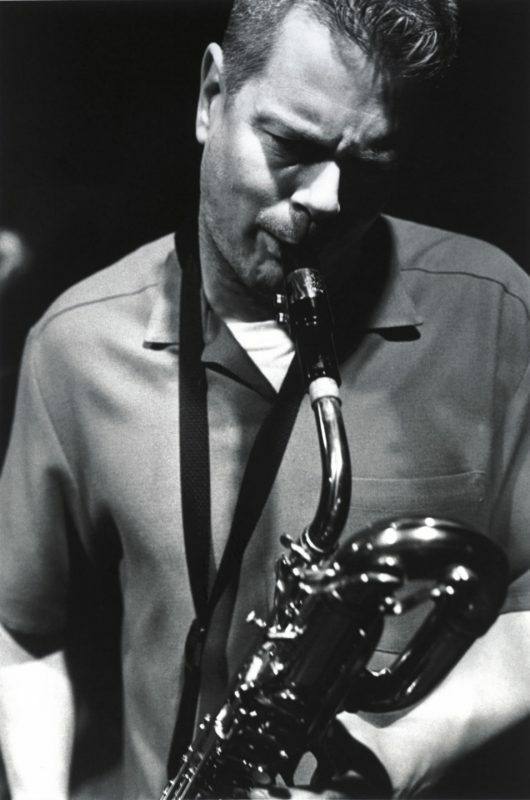 For all his projects, the Vandermark 5 is the reedist’s signature group. The 5 was formed with the idea of trying to get something like a big-band sound from a small ensemble, hence the somewhat unusual frontline of two reed players and trombone. The group originally featured Mars Williams on saxophones and Tim Mulvenna on drums, but Rempis and Daisy have ably replaced them. The Vandermark 5 can cover everything from free to funk, European chamber-style music to contrapuntal jazz, and they do it all with conviction and confidence. Vandermark cites other longstanding groups, such as Peter Brötzmann’s Die Like a Dog, Ab Baars Trio, ICP Orchestra and Duke Ellington Orchestra, as inspirations for keeping the 5 together as long as he can. “When I think of Ellington’s band-I think of this group in those kinds of terms. Not in terms of the artistic achievement or anything like that, but his effort to keep a band on the road, to keep it working, to hold it together, to keep personnel. And writing to the personality of the band, which is a major concern. With all the groups I work with, the reason that the bands sound different is because I’m consciously writing for who’s in that band as much as I can. As the band breaks apart to eat its preconcert meal, Vandermark stays onstage to warm up on his horns. He keeps trying out a tricky passage on his tenor saxophone, and as he falters Vandermark lets out audible groans of frustration. He continues to play his sax even as the audience starts to dribble in from the bar next door. Vandermark seems oblivious to that behind-the-curtain stuff that most musicians engage in, avoiding the crowd like a bride does her groom before the vows. Once Vandermark feels that he’s sufficiently knocked out the passage he was practicing, he doesn’t leave to go backstage. He picks up his bass clarinet and starts on another chromatic run. It’s almost an uncomfortable feeling to watch Vandermark warm up as the crowd stares at him, the fourth wall shattered. As the loud music and chatter filter in from the saloon one room over, joined by the persistent and incredibly loud creak from the bar door, the first rock band upstairs begins to play. Vandermark puts down his horn and checks his pocket watch. It’s 10 minutes to show time. The bleach and ammonia smell has given way to cigarettes and beer. Vandermark ducks backstage to get the rest of the band. The jazz club is his. Just as Atavistic has done with the last two Vandermark 5 CDs, Acoustic Machine (2001) and Burn the Incline (1999), the label offered a version of Airports for Light with a limited edition live disc. The previous freebies featured the 5’s powerhouse takes on avant-garde compositions by Ornette Coleman, Eric Dolphy, Sun Ra, Don Cherry, Jimmy Giuffre and more, compiled last year as the two-CD Free Jazz Classics. With Airports for Light’s bonus album, Vandermark decided to honor one composer: Sonny Rollins. David S. Ware and Branford Marsalis did excellent Rollins tributes last year, both taking on the formidable “Freedom Suite,” and Vandermark was momentarily worried that “it’s going to look like I jumped on the bandwagon. But the truth of the matter is, this stuff is so good that I decided, well, screw it, I’m just going to do it anyway,” he laughs. “The ‘Freedom Suite,’ the writing is tremendous. The way Rollins uses the trio, let’s say, like an orchestra. There’s very specific writing and organization of the material for a trio. Even now that’s unusual. His use of the jazz trio is a high-water mark of that format. “Rhythmically I think his way of expressing ideas is extremely original. He’ll space his notes and his phrases in very unpredictable ways. It’s almost like he’s stretching the time out or compressing it into bursts of sounds. If you compare his rhythmic expressions to someone like Coltrane, who had a more consistent attack in terms of rhythmic phrasing-most everything broken down into 16th-note bursts against the time, and these sheets of sound-if you compare that to the way Rollins phrases stuff rhythmically, Rollins to me is much more complex. And there’s a lot more room to use rhythm as a mode of expression in Rollins’ phrasing than in a lot of other saxophone players-or instrumentalists, period. 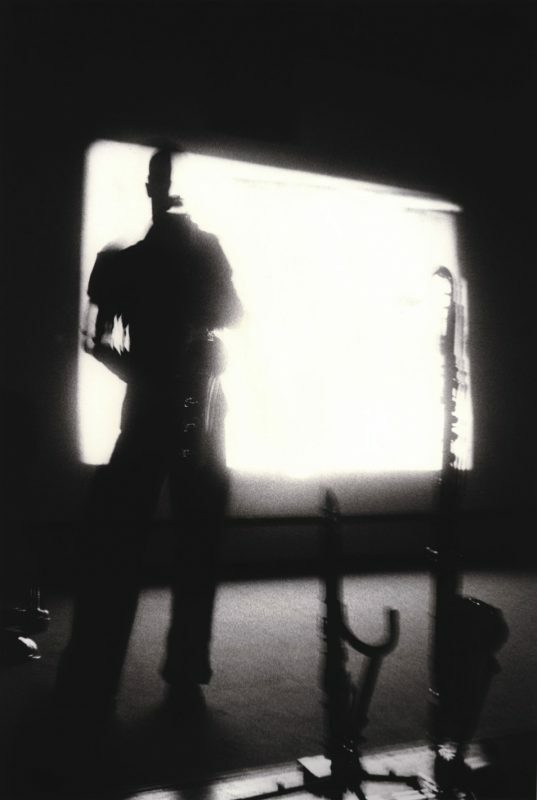 “I’ve had discussions with people about this and some think I’m nuts, so it’s definitely a subjective thing, but if you compare Rollins’ approach to improvisation, his melodic-thematic approach, and compare it to Coltrane’s, which is very harmonically derived-and you compare Rollins’ work with Don Cherry and then Coltrane’s work with Don Cherry on The Avant-Garde, Rollins’ approach is much more open. He sounds very free and capable of dealing with Cherry’s approach and the rhythm section. The music moves in incredibly open ways in Our Man in Jazz, and it sounds right at home with what Cherry was playing. You compare that to The Avant-Garde-every time Cherry is playing with that rhythm section, the music feels liberated, maybe in connection with the way those guys were playing with Ornette. And then when Coltrane plays, to me there’s a real feeling of him trying to utilize his harmonic concepts in a construct that isn’t meant for them. He still sounds great, but he sounds a little anachronistic in that situation, because he’s running these series of harmonic passages in a music that isn’t designed to deal with that. It sounds out of place. Saxes: Selmer Balanced Action baritone; Selmer Mark VI tenor; Selmer B-flat clarinet; Leblanc bass clarinet.